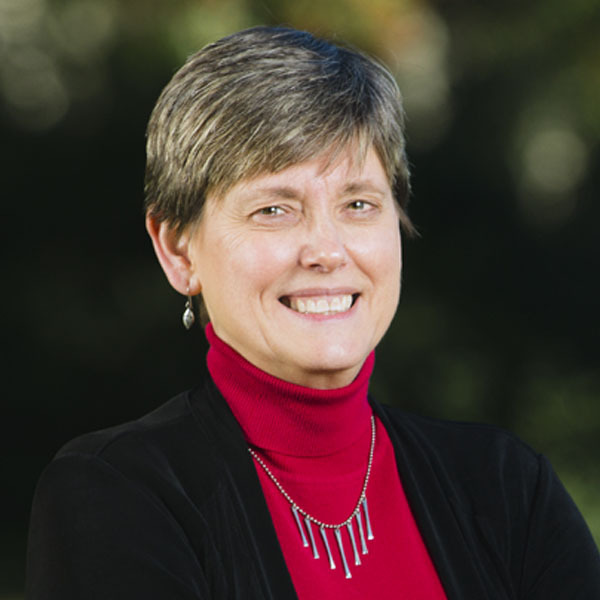 Nancy Crawford is currently an Associate Professor and Director of Clinical Training at the Rosemead School of Psychology at Biola University. She has a vast amount of clinical experience with time spent at the Tumaini Counseling Center in Nairobi, Kenya, Alongside Incorporated in Michigan and Advocate BroMenn Medical Center in Illinois. She taught in Kenya at Scott Christian University, Rift Valley Academy and Daystar University. Crawford received her B.A. from the University of Michigan. She later earned her M.A./Psy.D. in Clinical Psychology from Wheaton College. Her primary professional focus is Member Care for missionaries and clinical training. Crawford, N. & Wang, D. C. (2016). A Brief History of Psychology and Missions in JPT: Looking Back, Around, and Forward. Journal of Psychology and Theology. Crawford, N.A. & Carr, K.F (2013). Understanding and enhancing the resilience of single mission personnel. In D. Hawker & T Herbert (Eds), Single mission (pp. 233-241), Condeo Press. Davis, P.S., Suarez, E.C., Crawford, N.A. & Rehfuss, M.C. (2013). Reentry program impact on missionary kid depression, anxiety, and stress: A three-year study. Journal of Psychology and Theology, 41, 128-140. Crawford, N.A. & DeVries, H.M. (2005) “Relationship between Role Perception and Well-being in married Female Missionaries. Journal of Psychology and Theology. 33 (3). Crawford, N.A. (2002) “Missionary Women Speak” Enhancing Missionary Vitality. J.R. Powell & J.M. Bowers, Eds. Palmer Lake, CO: Missionary Training Internship. Crawford, N.A. (2000) "Counseling with Missionaries and their Families" Evangelical Dictionary of World Missions. S. Moreau, Ed. Grand Rapids, MI: Baker Books. Son, H & Crawford, N. (2016, November). Self-destructive behaviors among Third Culture Kids: Prevalence and effects of parenting styles. Workshop. Mental Health and Missions Conference, Angola, IN. Crawford, N. (2016, June). Human Sexuality and Member Care. Workshop. NCF Member Care and Counseling Seminar, Manila, The Philippines. Crawford, N. & McCaskill, H. (2014, November). What I Would Advise My Younger Self: Insights into Missionary Women Psychological Hardiness. Plenary. Mental Health and Missions Conference, Angola, IN. Little, K. & Crawford, N. (2014, November). The Influence of Childhood Mobility on Adult Attachment Style in Adult Missionary Kids. Workshop. Mental Health and Missions Conference, Angola, IN. Crawford, N., Pak, J., Little, K., McCaskill, H., & Kim. J. (2014, April). Integrating Evidence Based Practice in Trauma Care with Missionaries. Workshop. CAPS Conference, Atlanta, GA.
Crawford, N., Little, K., & Carr, K. (2013, November). Understanding and enhancing the resilience of single mission personnel: Learning from over eight hundred missionaries. Workshop. Mental Health and Missions Conference, Angola, IN. Allison, S., O’Donnell, K., Crawford, N., Moriarty, G., & Hawley, D., (2013, April). Current practices and “hot topics” in international humanitarian and missionary care. Invited Symposium. CAPS Conference, Portland, OR. Voytenko, V., Karpenko, V., Gingrich, F., & Crawford, N. (2013, April). Beyond the two-week Stint: Intentional strategies for longer-term cross-cultural service in mental health. Symposium. CAPS Conference, Portland, OR. Bates, D., Steinmeier, C., & Crawford, N. (2013 April). Reflections on the impact of abuse and neglect on children’s attachment patterns as seen in Romanian orphans, and the potential transformative benefits of attachment-based interventions. Poster. CAPS Conference, Portland, OR. Crawford, N., & Kimber, T. (2013, April). Psychological and spiritual thriving on the mission field. Presentation for Grace Sending, Grace Evangelical Free Church, La Mirada, CA. Crawford, N.A. (2013, April & October; 2012, May & October; 2011, April & October) Conflict management: John 13:35. Lecture presented for the Student Missionary Union Leadership Course, Biola University, La Mirada, CA. Crawford, N.A. (2013, March). Member care: Providing psychological services to cross-cultural workers. Continuing Education Workshop presented at Denver Seminary, Denver, CO.
Crawford, N.A. & Pak, J. (2013, March). Missionary psychologist: Not an oxymoron. Invited workshop for Biola University’s Missionary Conference, La Mirada, CA. Crawford, N.A. (2014, October; 2013, March; 2012, May; 2011, March) Care and counsel as mission. Lecture presented for the Women in Missions class at Cook School of Intercultural Studies, Biola University, La Mirada, CA. Edwards, K., Crawford, N., & Rodriguez, R. (2013, March). Models of care for missionary families. Workshop. Evangelical Missions Society Regional Conference, Pasadena, CA. Crawford, N.A. (2013, January; 2011, January). Families in missions: Key stressors, key supports. Lecture presented for the Self Care in Mission class at Fuller Theological Seminary School of Intercultural Studies, Pasadena, CA.